Saltfleet is a coastal village in the East Lindsey district of Lincolnshire, England. It is situated approximately 8 miles (12.9 km) north from Mablethorpe and 11 miles (17.7 km) east from Louth. 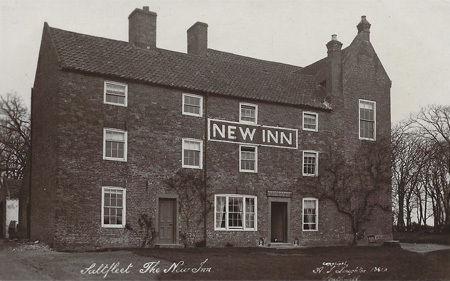 The New Inn is a Grade II listed building, dating from the 17th century. The sign above the entrance mentions "William Parker Michael" who would have been the licencee at the time of the photograph. 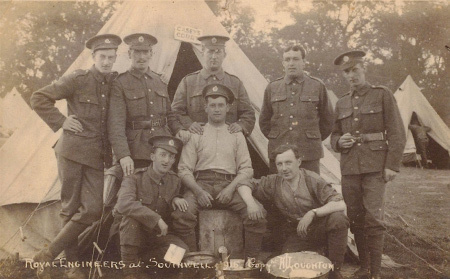 Taken from a used postcard posted in Peterborough 30 June 1915. 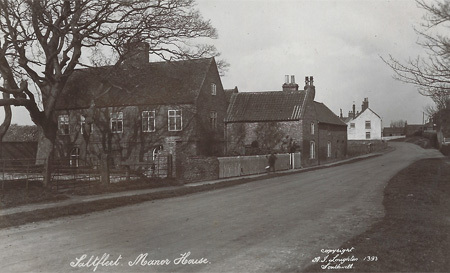 The Manor House is situated opposite the New Inn. It was built in 1673. 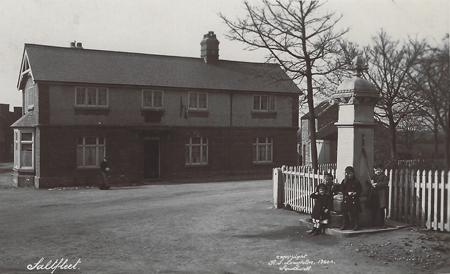 The Crown Inn has over 200 years of history and was extended on the right-hand side some time after this photo was taken. In memory of Frederick Allen Freshney, Trooper, Imperial Light Horse, who was severely wounded at the Battle of Colenso, South Africa, December 15th 1899 and in consequence thereof died at Saltfleet May 20th 1906 aged 32 years. Brave in action, patient in suffering. 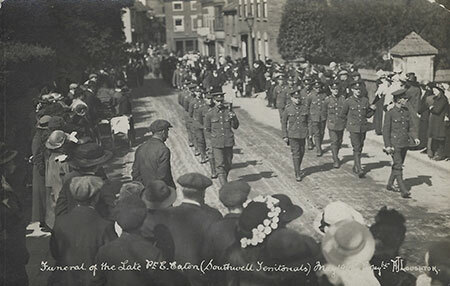 Taken from a used postcard that has a King George V ½d (halfpenny) stamp, therefore it was most likely posted between 1st January 1912, when the stamp was first issued, and 3rd June 1918 when the postcard rate increased to 1d.